It's beauty subscription time and Boxycharm was my first to arrive! Boxycharm is a monthly beauty subscription box that features mainly cosmetics but also includes nail, hair, and skin products. Each box includes high end and/or affordable brands that are full size or deluxe sample sizes. The theme this month is Bold & Beautiful. Which makes sense after looking at the bold lipstick and nail polish included in the box. 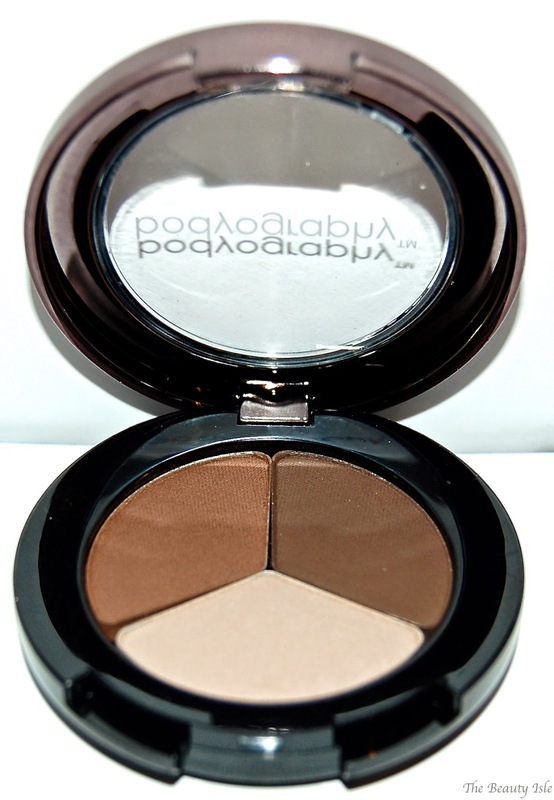 The brow trio includes 3 matte brow powders so it will work for many hair colors. The brow brush is dual ended with a slanted brush on one end and a spooly on the other. My brows are black and definitely not sparse so the only brow products I use are tweezers, a brush, and a clear gel. I plan to use the brow powders as eye shadows and the brow brush will definitely come in handy to apply gel eyeliner or to brush out my brows. This nail polish is supposed to be quick-drying, chip resitstant, and long-lasting with a mirror-like finish. 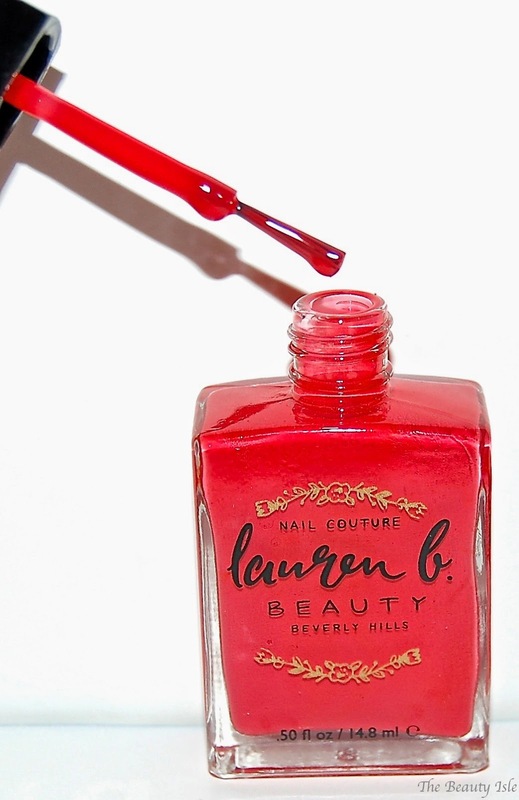 The vibrant coral color of this polish screams "summer"! 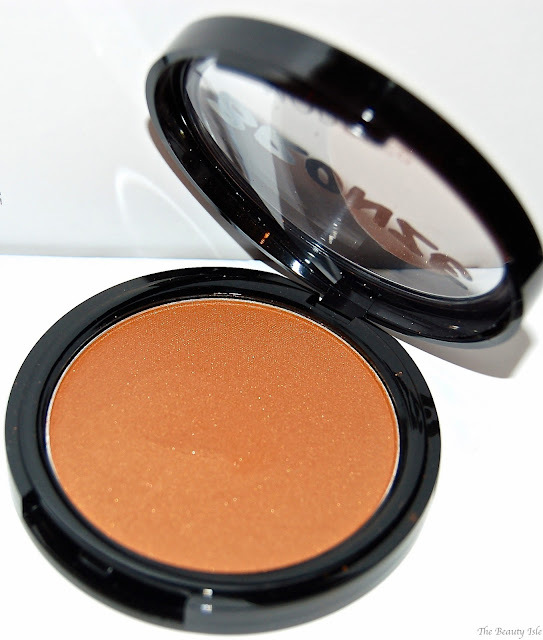 Wow, this bronzer is gorgeous! It reminds me a lot of my Betty-Lou Manizer from The Balm, but a little less shimmery. See swatch below. I've never heard of this brand but I'm sure curious now, look at this packaging! This lipstick contains lots of natural ingredients like Vitamin E, shea butter, and avacado oil, so it feels really soft on the lips. 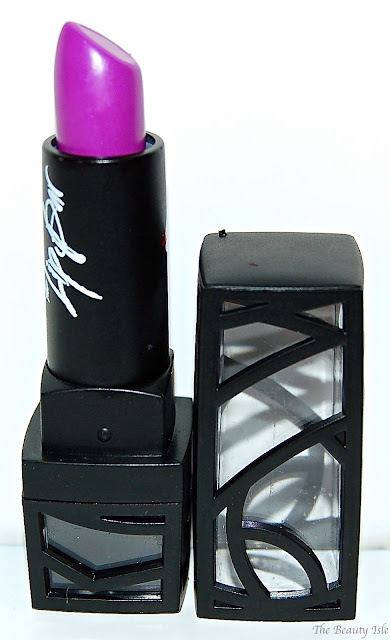 Although it looks like an unwearable shade of intense purple, it's actually really pretty and wearable! 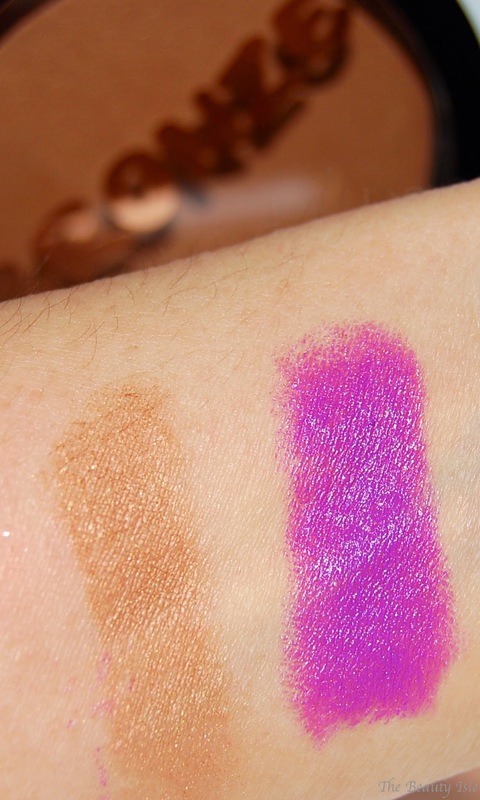 On the lips it's more of a lilac than a purple (swatch below). I wouldn't wear it to work or anything, but it would be fun for a night out. Overall this was a great box. 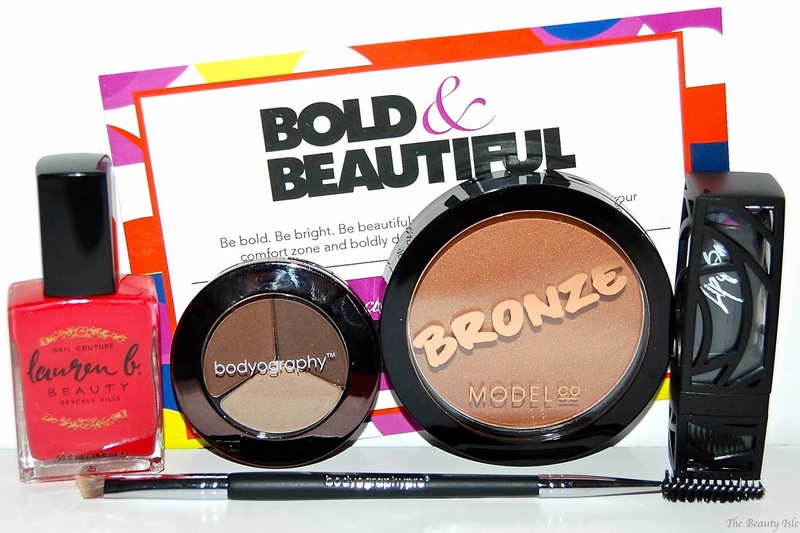 Although I probably won't use the brow products for their intended purpose, I'm still excited for the nail polish and bronzer, and I just might wear that purple lipstick! Each Boxycharm Box costs $21, shipping is free, and you can cancel your subscription at any time. As you can see, I received 5 full size items in this month's box. The retail value of this box is $98! That's nearly 5 times the cost of the box! Don't ever miss a beauty post, follow The Beauty Isle on Facebook, Twitter, and Instagram!